I saw several Real Piano on the App Store. What's the differences? Real Piano produces authentic piano sound quality that was sampled from a real grand piano — essentially putting a grand piano right into your hands. In addition to grand piano, it also plays guitar, bass, harp, marimba and music box. We understand a pianist's need to move fluidly and nimbly across the keys, which is why we made the entire length of our 88-key keyboard accessible during play with the quick slide of a finger. You can slide and pinch the scroll area on the top to move the keyboard and resize the key width at any time. It's not easy to play piano with expression on touch screens. 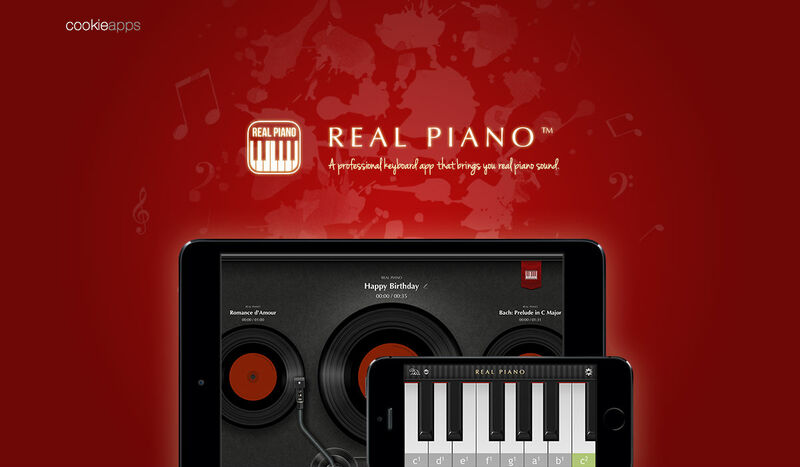 With Real Piano, you can control the dynamic by tapping the different positions of keys, or with a simulated tap-force detection. You can choose key labels from different notation systems (scientific, traditional, numbered and solfège) and different color patterns (simple, gray and colorful). The default colorful-solfège style is very helpful to identify the pitch range in a professional and intuitive way. Tune your piano by adjusting the frequency of the middle A. When playing with real instruments together, you may need to turn your whole piano higher or lower. By tapping the frequency options you can hear and compare the tune quickly. You will love the transposition feature if you already practice a song for a long time but your friend finds it too high when you are going to perform together. Rather than trying to play differently, just transpose your piano to a lower key and play as exact what you practiced. 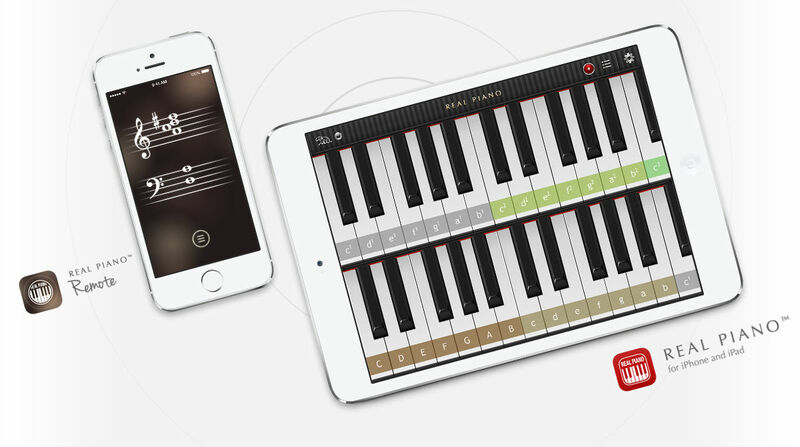 Recording and sharing music is a highlight of Real Piano for iPad. You can simply press the record button and start playing; pressing the button again stops and saves the recording. Recordings can be played back through the recordings interface. The interface also enables players to share their recordings via e-mail, Facebook, SoundCloud and iTunes File Sharing. By connecting Real Piano with the Remote app, you can see the notation of what you are playing in real time, control the pedal panel with your foot (if you like), and adjust other settings in a separate screen. Available for iOS devices only. Real Piano Remote app needs to be downloaded separately for free. Microsoft, Windows, and Windows Store are either registered trademarks or trademarks of Microsoft Corporation in the United States and/or other countries. © 2014 Cookie Apps, Inc. All Rights Reserved.